I am often asked, “Which method is better?” Now, don’t get me wrong! I’m not here to denounce dry cleaning and promote steam cleaning (of course, we’re biased). Here is why we chose steam cleaning. When we started this business, we looked at dry cleaning and found that we could put a dry cleaning truck on the road for less than half of the investment of a steam cleaning truck. After careful research, we were convinced (and we feel you will be too!) that truck-mounted steam cleaning does a more thorough cleaning job in the hands of a professional than dry cleaning. We saw dry cleaning as washing your hair and using a towel to rinse. The marketing that some dry cleaners use is simply not true; they say when you steam clean, you’ll saturate the backing and pad, thus driving all that dirt deeper. 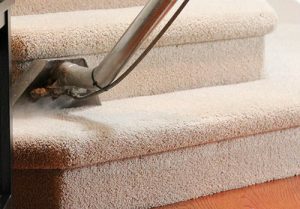 When there is a problem with the cleaning of your carpet, it is the fault of the operator – not the system. Sure, you can dry clean in-between steam cleans, if that is what you’d like. 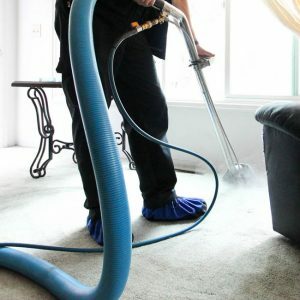 We chose steam cleaning because it is thorough, sanitizing, and healthier for the people living in the home. It’s healthier because we actually flush the contaminants out of the carpet, taking them to the truck and away from the house. Dry cleaning cannot accomplish that. Certain dry cleaning franchises have actually changed their equipment to truck-mounted cleaning with a twist. We’ll have to stay tuned to that development to see if it is successful. All in all, it’s marketing.